Lynx who's famous adverts show the guy using their deodorant's to attract women when used, have now released their daily fragrances! Three to choose from that match your unique style and look of that day and the fragrances are suitable for all age groups, not just the teenager! Oud wood and dark vanilla, a subtle woody fragrance. 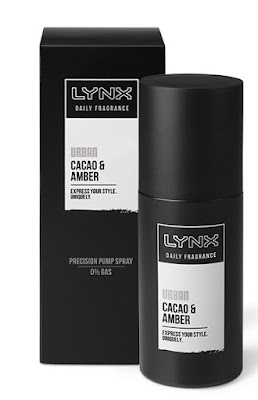 Rich tobacco and amber, a smoky and sweet fragrance. 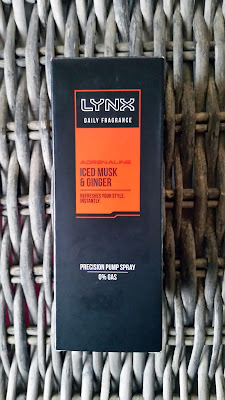 Iced musk and ginger, a sharp and cooling fresh fragrance. 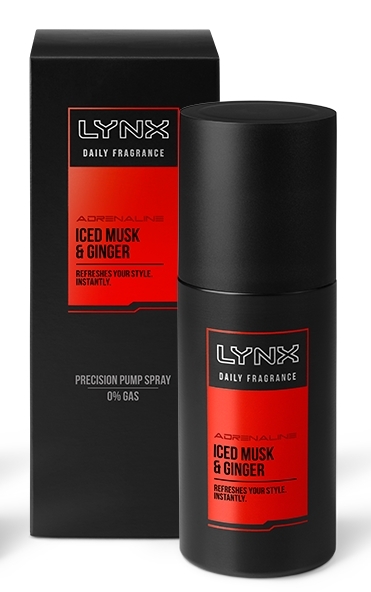 Anything with musk in and present on the box draws my attention so i chose the adrenaline that is iced musk with ginger. The packaging is quite sleek and mysterious with just a black box with Lynx present on the front detailing which fragrance is which. The boxes are colour coordinated to each of the individual fragrances, red being the adrenaline. 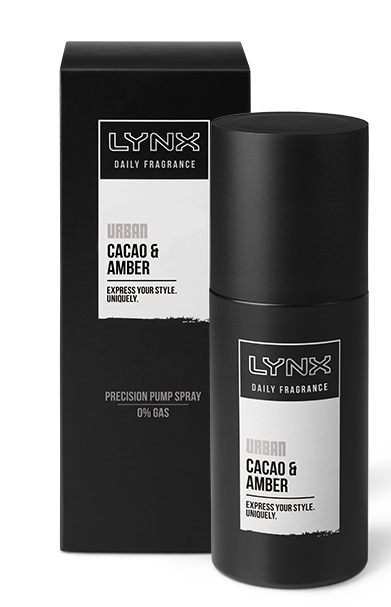 The bottle, which isn't really a bottle as looks like any other Lynx deodorant's can, is gas free making this a precision pump spray. It does state on the side of the box they have put three times more fragrance in these daily fragrances so they last longer. One spray on the neck, body and wrists is all you need to experience these stylish scents. I found a tester of the adrenaline on the shelves of the shop and i can honestly say one spray is all you need. 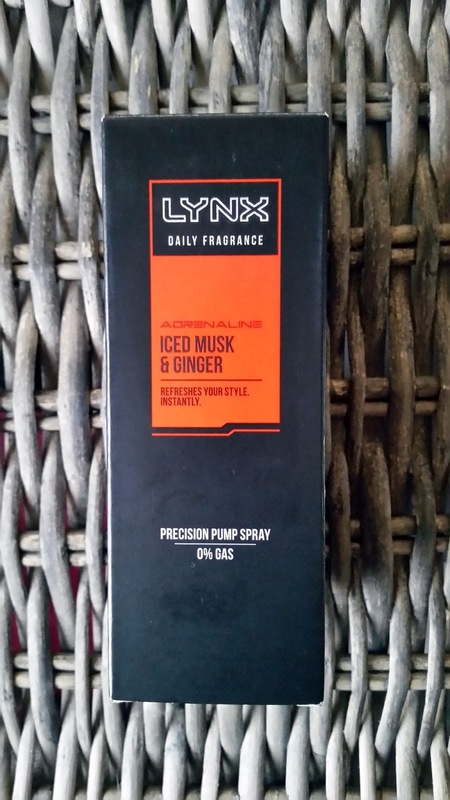 One spray on the wrist and the whole aisle of the shop was filled with this unique but friendly scent. 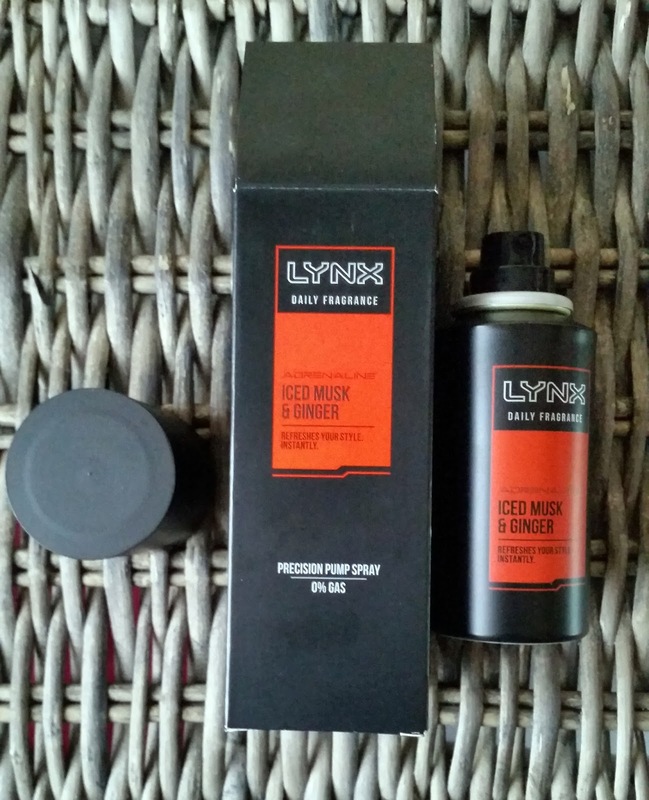 A soft sweet musk with a kick of masculine ginger that lifts your senses. I found this fragrance lasted all day and wasn't headache inducing or cloying. I'm actually really surprised at how well this smells and lasts. Great job Lynx!